The CPI (M) women's wing also demanded resignation of Dalit leader and BJP MP Udit Raj over his statements on the #MeToo campaign. NEW DELHI: Demanding resignation of Union minister M J Akbar, who has been accused by several former women colleagues of sexual harassment, the All India Democratic Women's Association (AIDWA) said the "silence" of the government over #MeToo complaints shows its "indifference" towards the issue. "We are deeply concerned at the deafening silence of the Modi government which exposes its indifference towards the trauma and insecurities these working women have had to undergo," it said in a statement. Earlier in the day, Minister for Women and Child Development Maneka Gandhi said she believes in all the women who have come out with complaints of sexual harassment. She said her ministry will soon propose a committee with senior judicial and legal persons as members to look into all issues emanating from the #MeToo campaign. "I believe in all of them. I believe in the pain and trauma behind every single complainant. "I am proposing to set up a committee with senior judicial and legal persons as members to look into all issues emanating from the #MeToo campaign," she said in an interview to PTI. BJP MP Udit Raj Tuesday termed the #MeToo movement in India a "wrong practice" and questioned the relevance of making sexual harassment allegations against anybody 10 years after the alleged incident. Expressing solidarity with the survivors of sexual harassment at workplace, AIDWA activists staged a protest at Jantar Mantar and hit out at the government. The CPI (M) women's wing condemned the Ministry of External Affairs' "silence" on allegations against MoS Akbar. "There is no move to rein in, or criticise, the BJP leader who has publicly denounced women coming out with their traumatic experiences as profiteers aiming to make money through these accusations," it said. 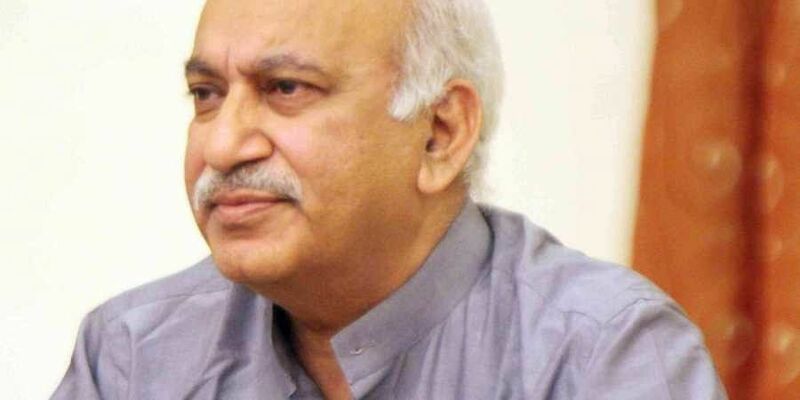 "We demand immediate resignation of the Minister of State for External Affairs M J Akbar. Parliamentarian Udit Raj should also immediately tender his resignation," the AIDWA demanded. It also sought an urgent inquiry into the complaints so that the perpetrators can be brought to book.